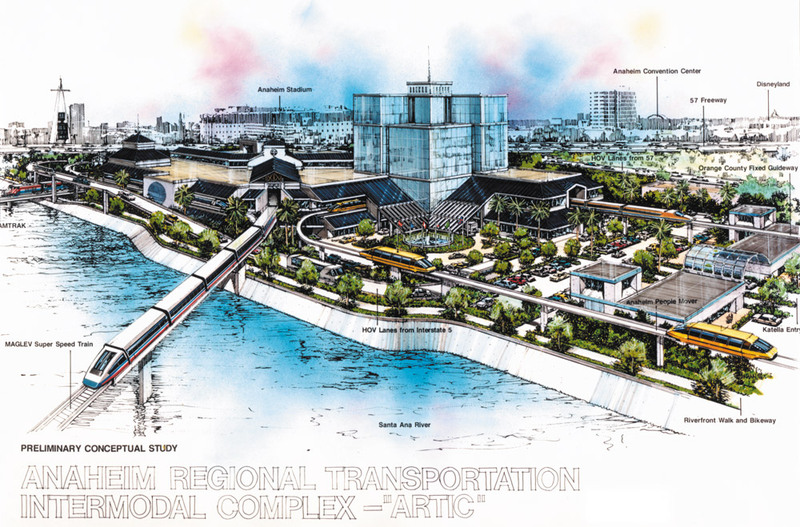 The Anaheim Regional Transportation Center (ARTIC) is being proposed as the southern terminal for a High Speed MagLev Train linking Anaheim, California with Las Vegas, Nevada. 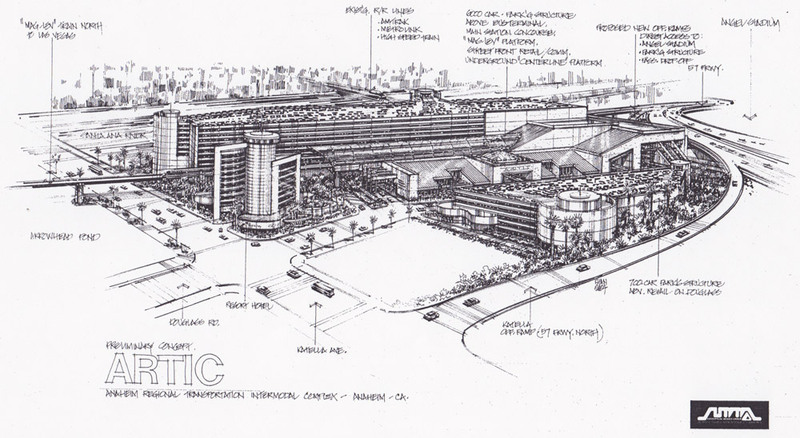 This major transportation hub will serve the Anaheim Resort with an Amtrak Station and a people mover connecting to the Convention Center and Disneyland. Air Ferries will transport goods and people to regional airports. The station is anchored by transportation oriented development (TOD’s) which include mixed use commercial buildings, offices and a hotel. 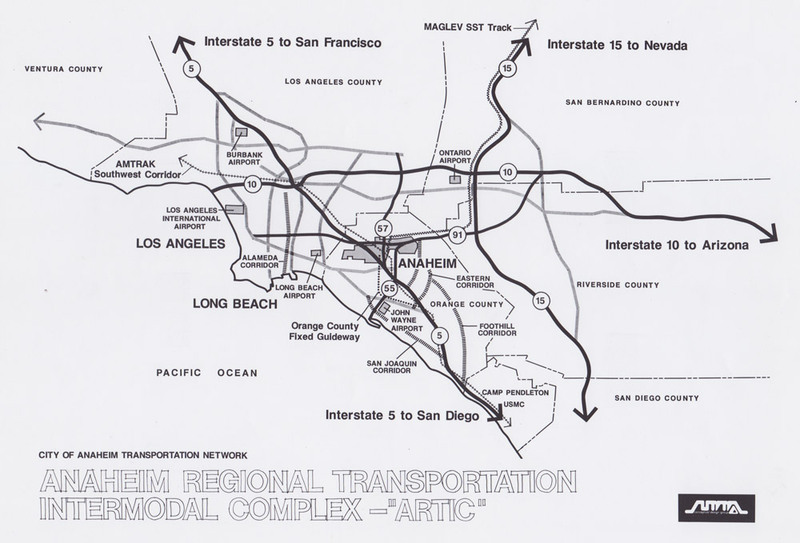 Convenient freeway connections add to the five transportation systems circulating through the Center. 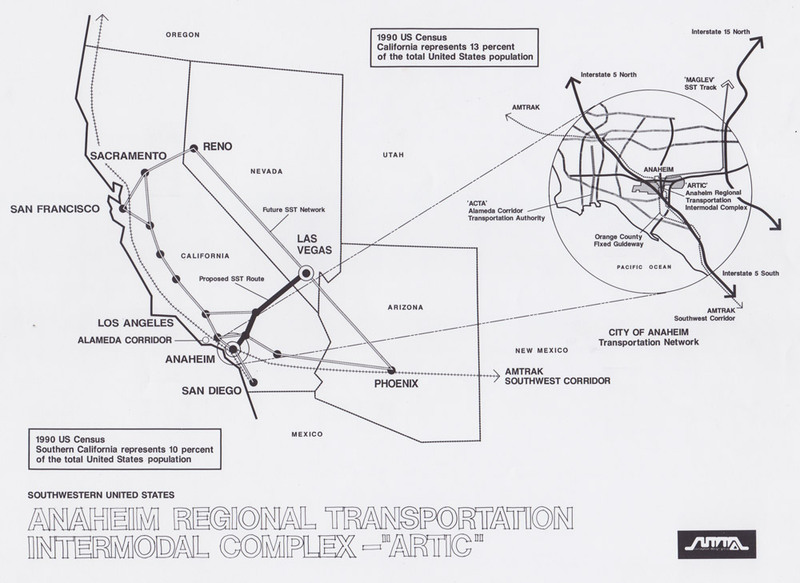 In the early 1990’s a consortium of major corporations including Bechtel and TransRapid proposed a Mag-Lev train linking the City of Anaheim with Las Vegas. 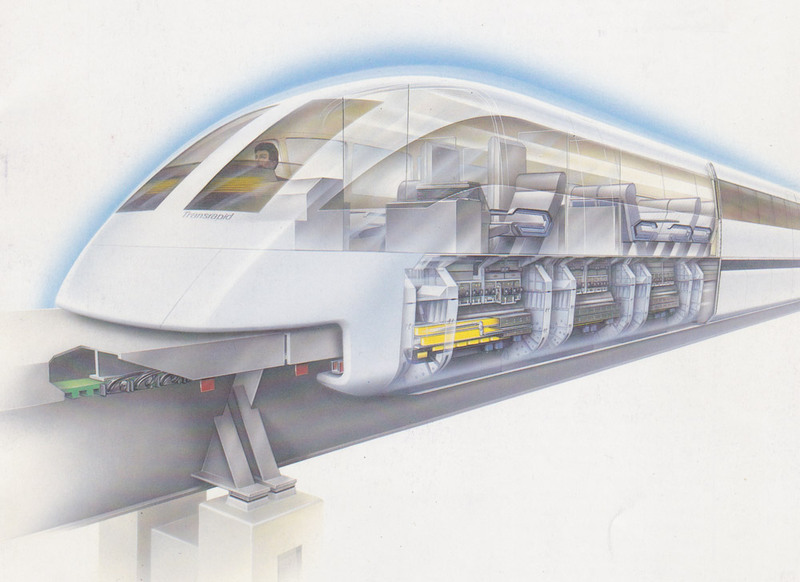 TransRapid had tested and developed the technology for their new high speed train which could exceed 300 mph. Sixty percent of all visitors to Las Vegas come from Southern California and it is now possible to travel between these two major destination resorts, in two hours, using this new technology. We were asked to work on the southern terminal for this train, which was branded as the “ARTIC”. 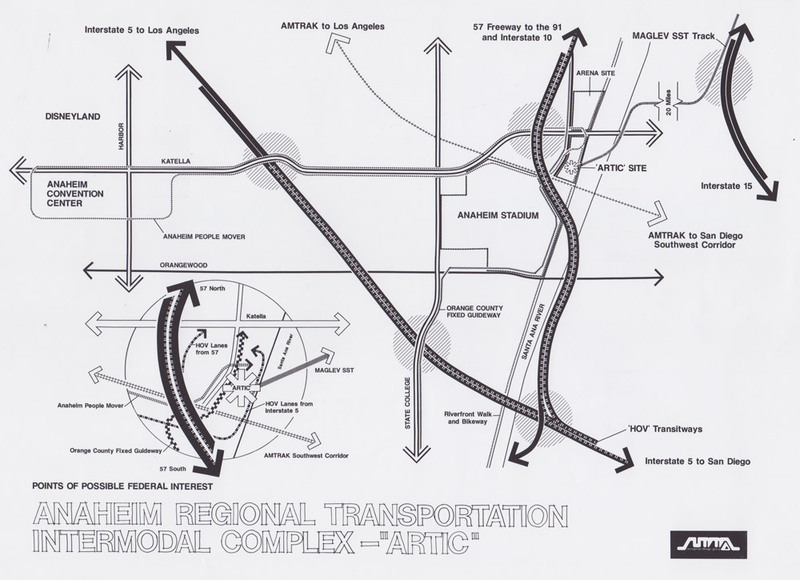 This major transportation hub included access for buses and cars from two major freeways, a people mover connecting north and south Orange County, a dedicated monorail link to the Disney Resort, an Amtrak station, the high-speed train to Las Vegas and air ferries to regional airports.